Invest NI has offered Blockbusters Environmental Services over £30,000 in the last three years towards job creation and market development activities. The company has also benefited from technical support to gain ISO 9001, ISO 14001 and OHSAS 18001 accreditations. Blockbusters Environmental Services currently employs 18 staff in Newry. 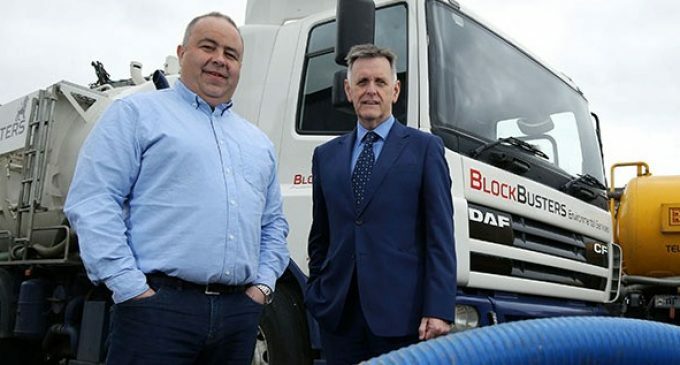 Pictured (L-R): Antoin Smyth, Co-Owner, Blockbuster Environmental Services, and Mark Bleakney, Southern Regional Manager, Invest Northern Ireland.